A pitchers’ duel turned into something else when Waynesboro’s bats came alive in the seventh inning. 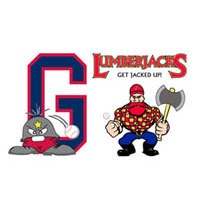 The Generals scored seven times in the lucky number seven inning to turn a 3-2 lead into a 9-3 win over the visiting Covington Lumberjacks. Waynesboro starter Seth Lucio was masterful until his final pitch in the seventh, when a two-run, two-out single off the bat of Ashton Paige gave the Lumberjacks a 3-2 lead. Before the first pitch to Paige in that at-bat, Lucio had given up a run on three hits, but an uncharacteristic four walks – Lucio had surrendered just four walks in 25 and two-thirds innings coming in – came back to bite him in the seventh. But the Generals turned things around quickly in the bottom of the seventh, tying the game at 3 on an RBI single by Caleb Palensky, then taking a 4-3 lead when Bradley Noland scored from third on a wild pitch. A two-run single by Austin Johnston scored Palensky and Ryan Breen to make it 6-3, and then three batters later Julian Ridings hit a bases-clearing three-run double that blew the game open. Joseph Lucas (1-0) got the win in relief for Waynesboro, which maintains a half-game lead in the South Division with the win. The Generals travel to New Market Friday night.